Juneau – Today, members of the Alaska Legislature will join the effort to raise awareness of child abuse by participating in Go Blue Friday. Representatives Geran Tarr (D-Anchorage) and Ivy Spohnholz (D-Anchorage) are asking lawmakers and staff to show support for efforts to stop child abuse in Alaska by wearing the color blue today. Juneau – Today, the Alaska House of Representatives passed House Bill 273 to simplify, speed up, and lower the cost of vehicle transfers on death. HB 273 will allow a vehicle owner to file an application with the Alaska Department of Motor Vehicles (DMV) to designate a beneficiary to take title of a vehicle upon the death of the owner. Juneau – Two Democrats in the Alaska House of Representatives are sending a positive message to those who live with disabilities that will lose significant help under the budget passed last week. Representatives Les Gara (D-Anchorage) and Ivy Spohnholz (D-Anchorage) are encouraging Alaskans with disabilities and others to share their stories with lawmakers and to not give up hope that the harmful cuts, to help they rely on, can be reversed. Video from AIDC’s March 15th, 2016 Press Availability with Representatives Jonathan Kreiss-Tomkins, Harriet Drummond, Matt Claman, Scott Kawasaki, Chris Tuck, Ivy Spohnholz, Les Gara, Andy Josephson and Adam Wool. 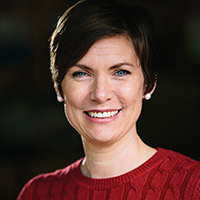 Juneau – The Alaska Independent Democratic Coalition (AIDC) will hold a press availability Tuesday to introduce Rep. Ivy Spohnholz (D-Anchorage) as the newest member of the Alaska House of Representatives. AIDC Leader Rep. Chris Tuck (D-Anchorage) will also be available to answer questions on the progress of the 2nd Session of the 29th Alaska Legislature. Juneau – The Alaska Independent Democratic Coalition (AIDC) press availability has been rescheduled for 9:30 a.m. Friday morning. The press availability will be used to introduce Ivy Spohnholz as the newest member of the Alaska House of Representatives.